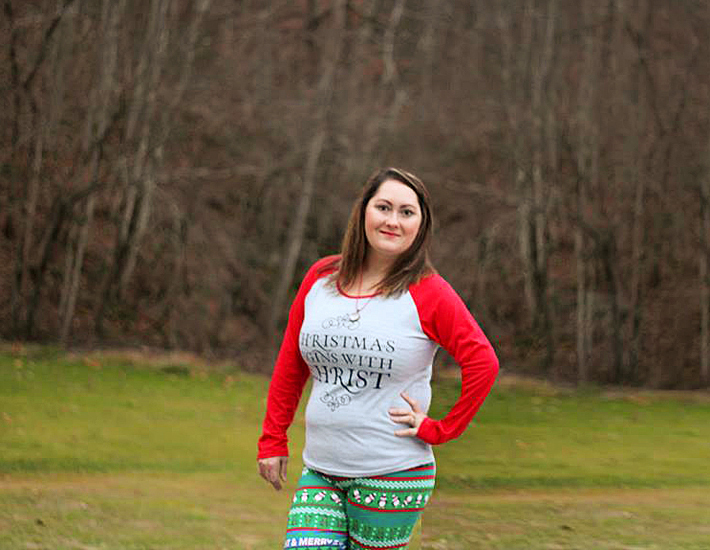 I love this Raglan so much because it is such a great reminder that Christmas does Begin With Christ. We get so caught up in the Christmas season with the stress of many purchases and activities that we forget to remember that it is all about Christ. 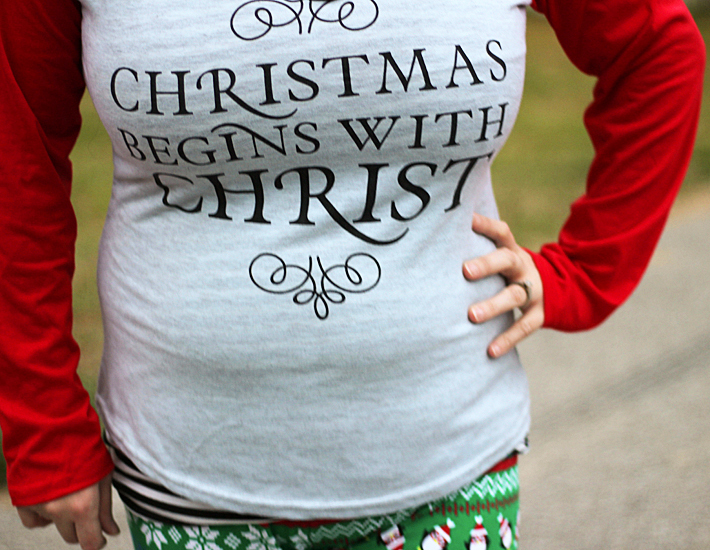 So, why not wear a comfy Raglan to remind myself to slow down and enjoy the real reason for the season! 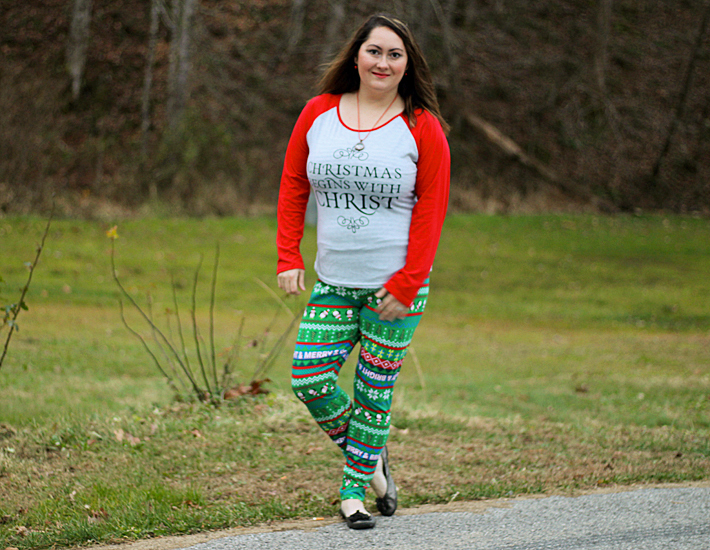 I paired the raglan with these adorable Merry and Bright Leggings from Walmart. I chose these leggings because of the penguins on them. 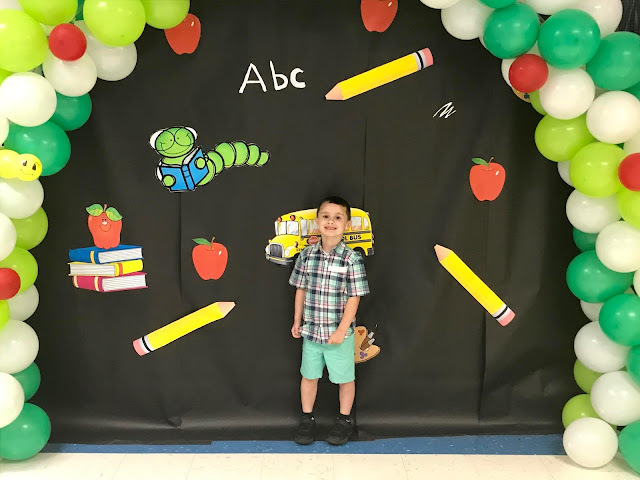 Raylan loves Penguins! Walmart has some of the cutest Christmas leggings and I love that they are reasonably priced. I don't like to shell out much money for holiday leggings that can only be worn once or twice. I also had to add in my Christmas locket with Christmas Charms to complete the look. 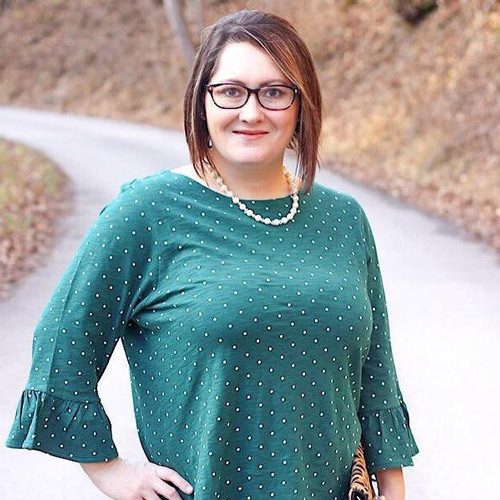 This is such a fun and festive outfit to wear. I wore it over the weekend when we took Raylan to see the Christmas lights. Both the Raglan and Locket came from my friends who have small businesses. Don't forget to shop local and help out small businesses during the Christmas season.